One thing they didn’t teach us in school is how to best take care of our finances; so being an adult and having to figure stuff like budgets, mortgages, buying your first car is stressful. Many of us cringe when we hear the word 'budget'...Mainly because it is stressful and time consuming; making a budget is one thing but sticking to it is a whole other issue. Yes, creating a budget is a lot of work, but the benefits outweigh the amount of work by providing you with a peace of mind. So what is a Budget? Budget according to the dictionary is an estimate of income and expenditure for a set period of time. A budget helps you see more clearly how much money you receive, and how much you spend and save. It helps you set spending limits and live within your means. It helps you find ways to get rid of your debts, reduce costs and have more money for things that are important to you. To get started: pull your last three months pay-stubs and last three months bank and credit card statements. The first step in budgeting is to determine how your net income (money you get after your taxes have been paid) measures up against all your expenses and discretionary spending. Using your previous bank statements fill out a "past budget" to see where you money goes. 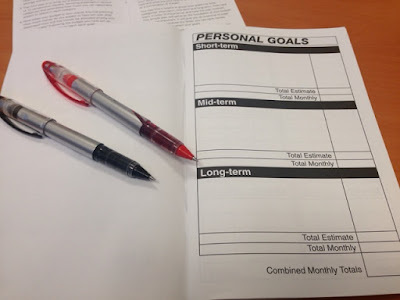 Depending of what you budget of past 3 months shows you will need to set some goals; whether they are building your savings or paying debt off you will need to put your goals into writing short-term, medium-term, and long-term goals based on your needs, wants, and dreams in life. Once you have your goals, adjust you expenses and prepare a new budget that will include your new financial goals. I use this budget calculator all the time. Yes, its lengthy but it breaks down everything. I have used mint , but you are providing all your banking information to a third party which can be scary. 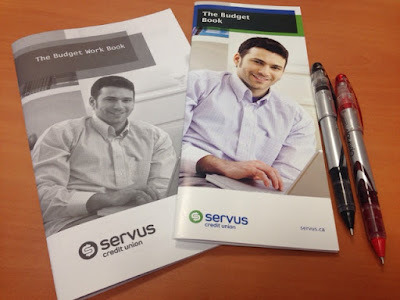 All financial institutions will have a version of a calculator on their website or printed booklets you can pick up at your branch (images shown above are budget books from Servus Credit Union). I have a budget worksheet that works well and you don't have to share your information online, or actually write it out, if you are interested please email me at letterstoLALAland@gmail.com and I will be more than happy to send it to you. 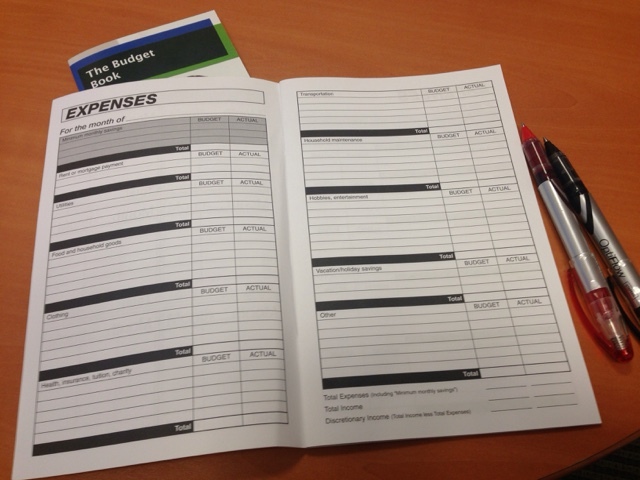 What do you do to keep your budget on track?